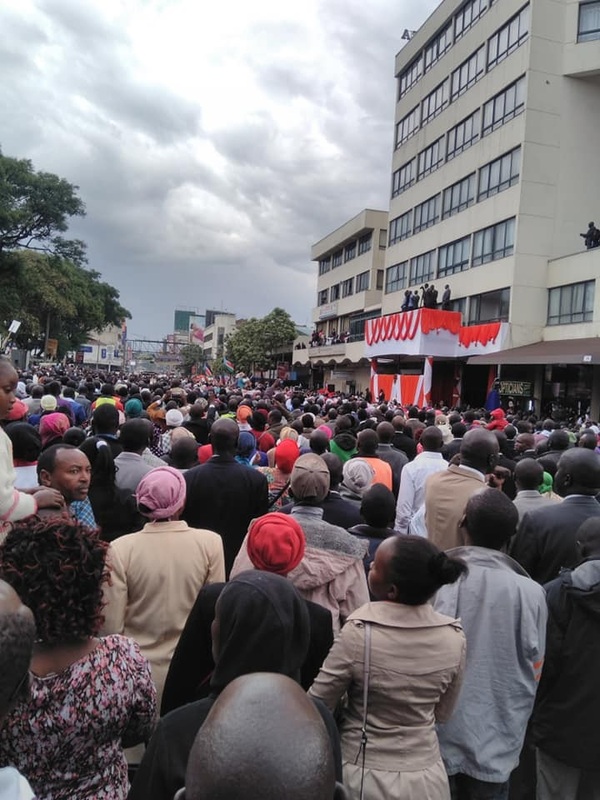 Friday, December 28, 2018-Fake prophet David Owuor brought business to a standstill after he landed in Nakuru for a 3 day healing and miracle crusade. 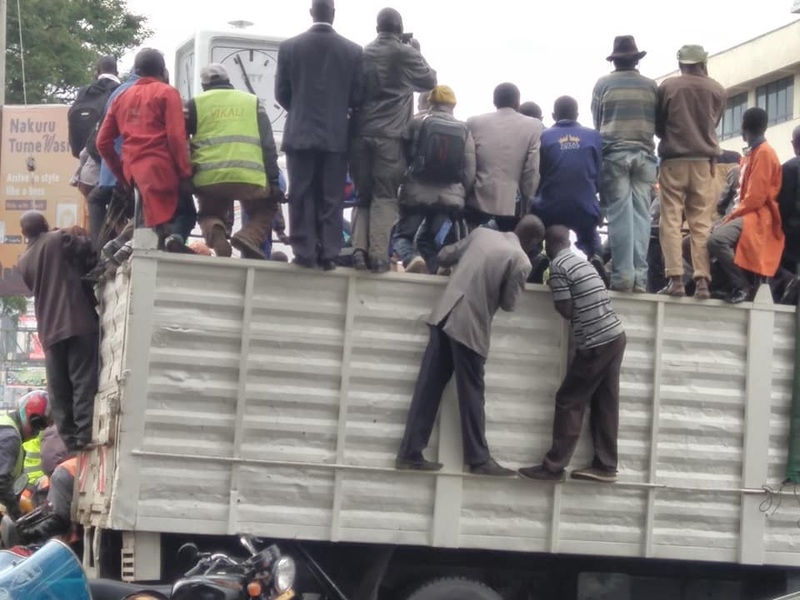 Major roads around the town were cl0sed as huge crowds flooded the street to receive the so called mighty prophet who was accompanied by heavy security consisting of private bodyguards and armed cops. 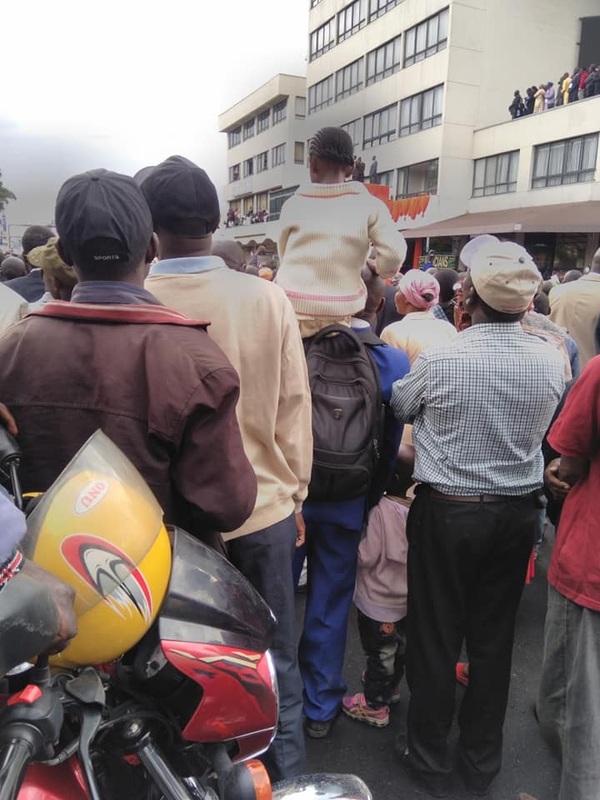 Desperate and gullible Kenyans flocked Merical hotel where he will be staying during the 3 day healing and miracle crusade after hearing that he was dishing out miracles and nearly caused a stampede.